west side of 77, this tract just south of Caterpillar Dealership. 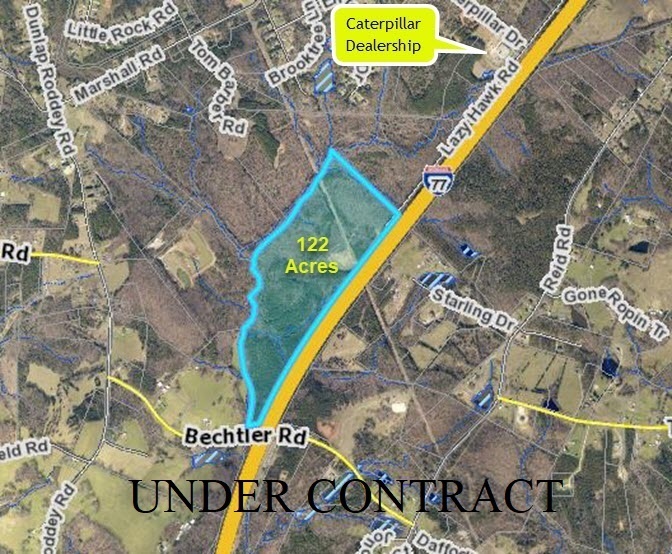 This tract has over 4,200 feet of frontage along I-77. 2018 traffic count for this section of 77 was 52,000 vehicles per day. SC DOT will allow trees within right-a-way to be cut with conditions, call for details. Presently wooded, Very stable soil, lots of Red Dirt. as the entire 122 acres. 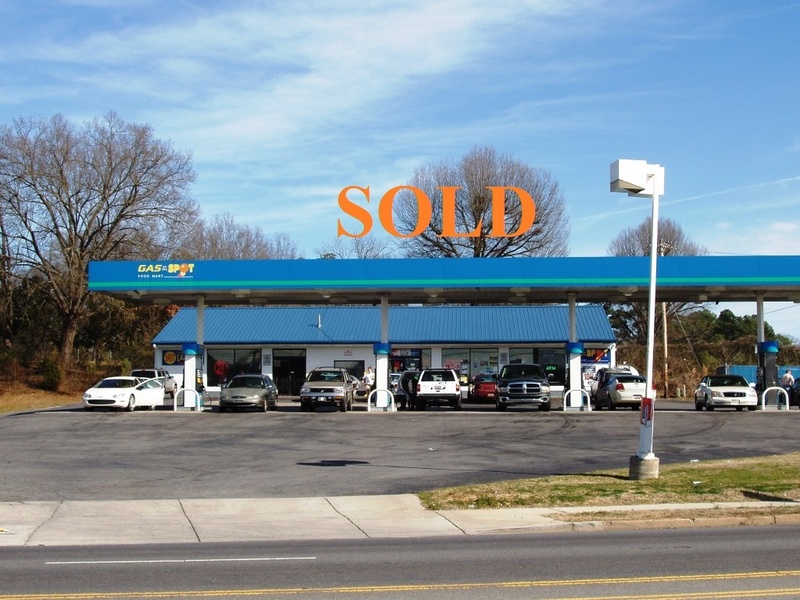 Possible Lease with option & seller financing. 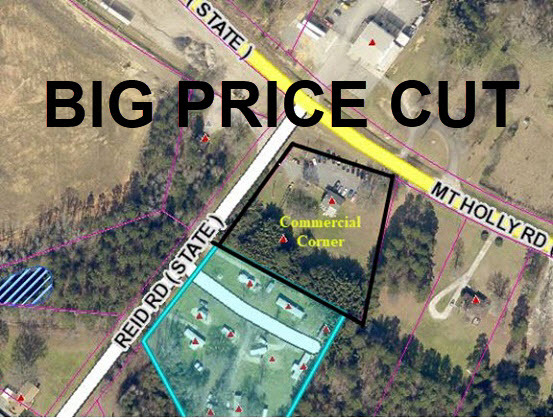 Located in York County with BD-III zoning. Less than 500 yards from I-77. restaurant equipment still in place. Same seller and who will consider offers to sell the parcels separately . 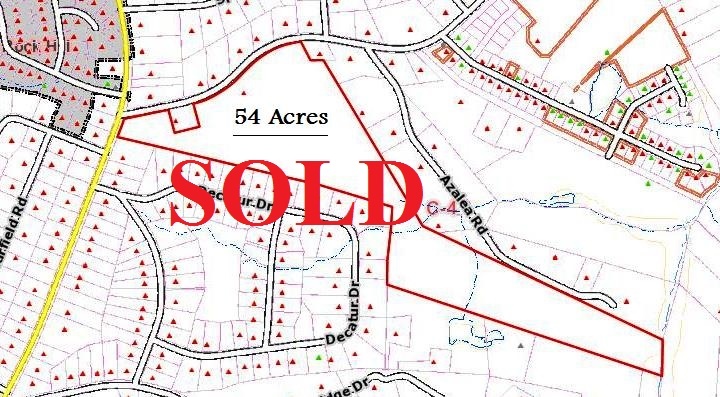 with light retail and low density town homes or patio homes on the Tract A.
Tract A also well suited for an assitant living facility, church or day care. Great area along the creek for walking trails. Industrial site on Porter Rd. at I-77 (exit #75). 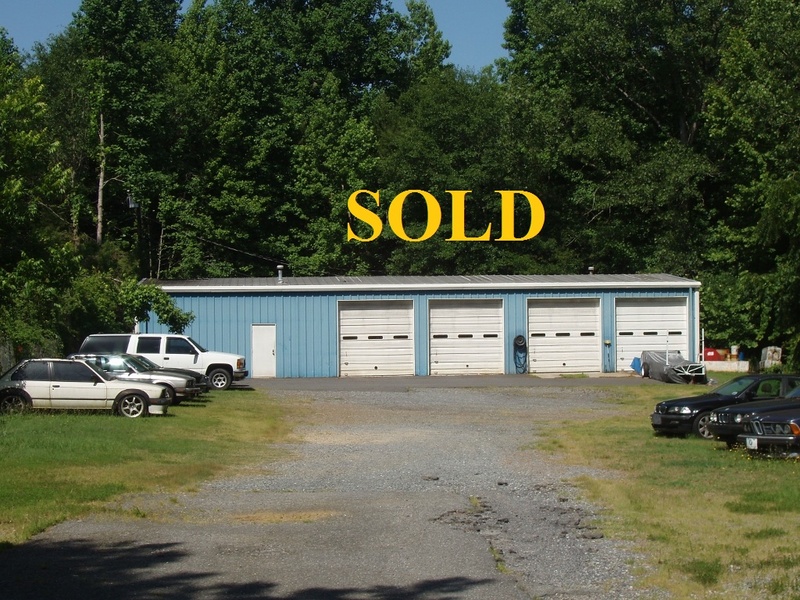 1,060' frontage on Porter Rd. 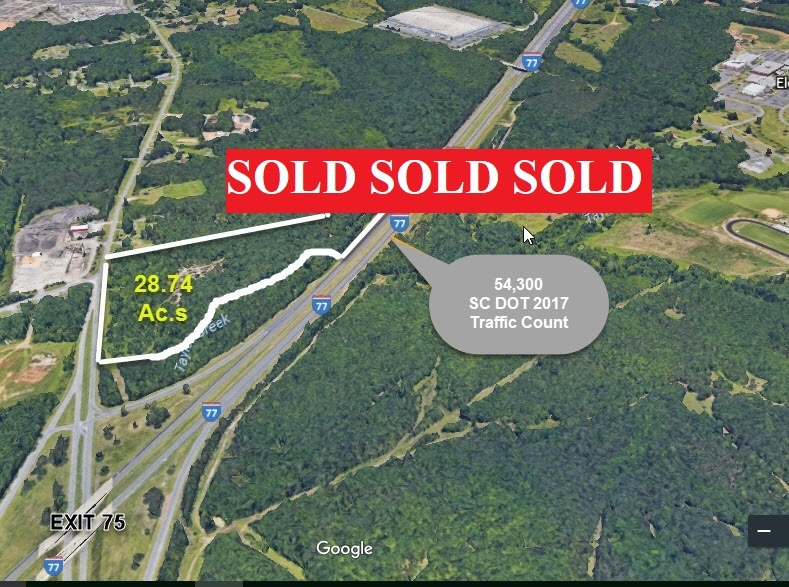 & 1,248' frontage on I-77. 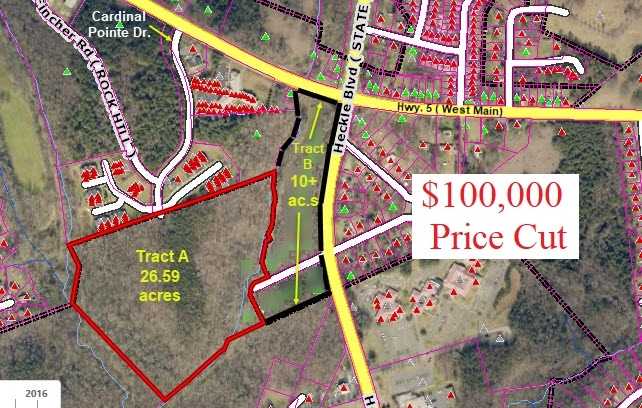 City water & sewer directly accessible to this tract. [click here for more info. 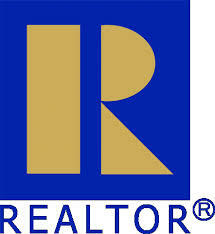 Location ++ -3 bdrm. 2 full bath house on Charlotte Ave.
Live here, have your business or both. Zoning allows both. inspected and treated annually by local exterminator. Inside shown by appointment only. South of Rock Hill. 51,300 cars per day in 2017 count. 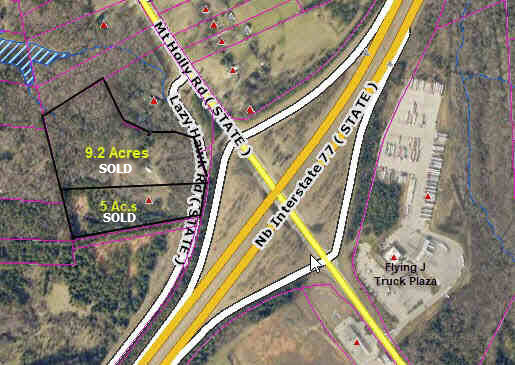 SOLD: 1.24 Acre lot on a 5 lane Hwy. near Rock Hill. Suited for small business or home. 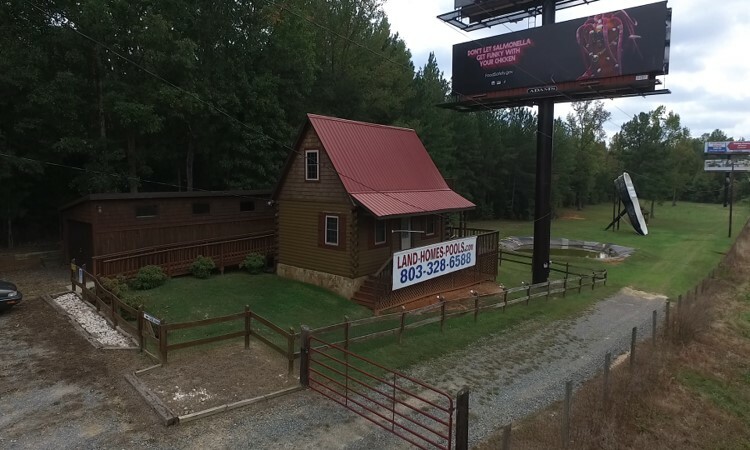 office & storage room on 7 acres in York Co. .
located just off I-77 at exit # 73 near Rock Hill, SC. Very flat level site with stable soil easy to build on. Water & Sewer lines are on the road. Each site has a minimum of 200' road frontage.